On Monday evening Walsall Secretary and Director Dan Mole was joined by Chief Executive Stefan Gamble as they took part in the latest Fans Focus event to be held at Banks's Stadium. 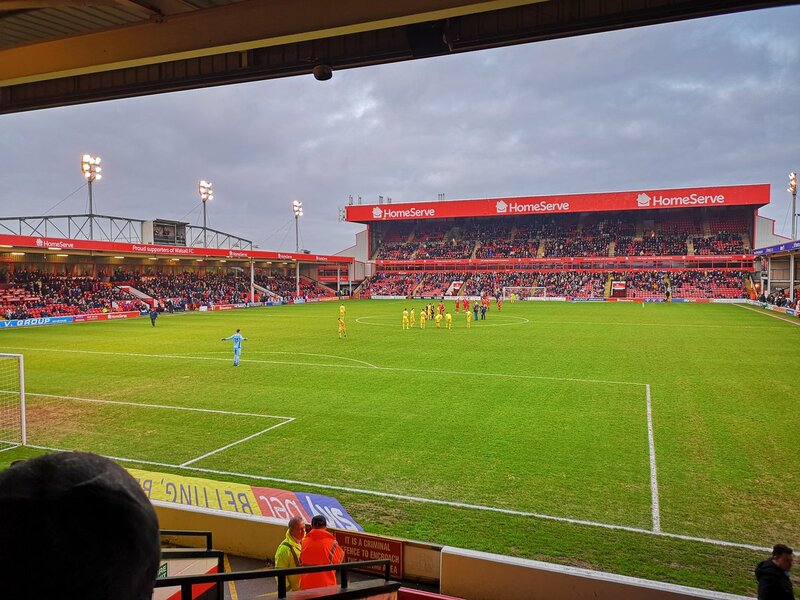 Bonser has chosen to operate the Football Club and Stadium as separate entities, which ultimately means that the club has to pay rent to play at Banks's Stadium, whilst also picking up the tab for repair and replacements while they are based there. While the chairman owns the club himself, the freehold titles of the stadium are held by Suffolk Life - a pension firm of which Jeff, his wife, his brother Robert and his brother’s wife are beneficiaries. This issue has been one of the more controversial ones to surround the club for may years and is one an increasing number of fans would like resolved. But while a host of fans would now like to see Bonser sell up, Stefan Gamble admitted that whilst he is open to sensible offers he isn’t actively looking to sell the club. The chief executive also revealed no bids for the club have been made in recent years, although offers have been made for the freehold of Banks's Stadium. Stefan confirmed; "We are not actively looking to sell the club. Jeff is a willing seller but he is not a desperate seller. He will hold talks with anyone who is serious about investing. "I'm not aware of any bids to buy the football club in the 17 years I have been here. The stadium went to market five or six years ago. Bids were made but fell well short of the valuation." While confirming there have been no bids for the club, Gamble also confirmed Bonser has not sat down with the board to discuss any potential exit strategy. He continued; "Jeff has not sat down with the board to discuss his exit strategy. He remains committed to the club."